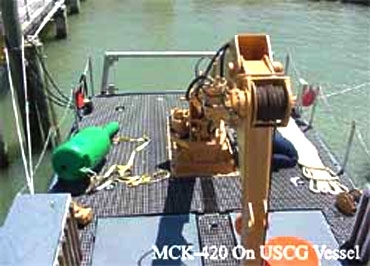 North Pacific Crane manufactures cranes for use on navy and coast guard vessels. We have supplied naval ships from various nations with a variety of cranes, including general stores and maintenance cranes, in fixed boom, knuckle-boom, and telescope models with lift capacities from 2 to 95 tons. 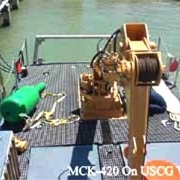 We have also supplied military vessels with specialized cranes, such as the Vertical Pallet Handler knuckle-boom for use in heavy seas.